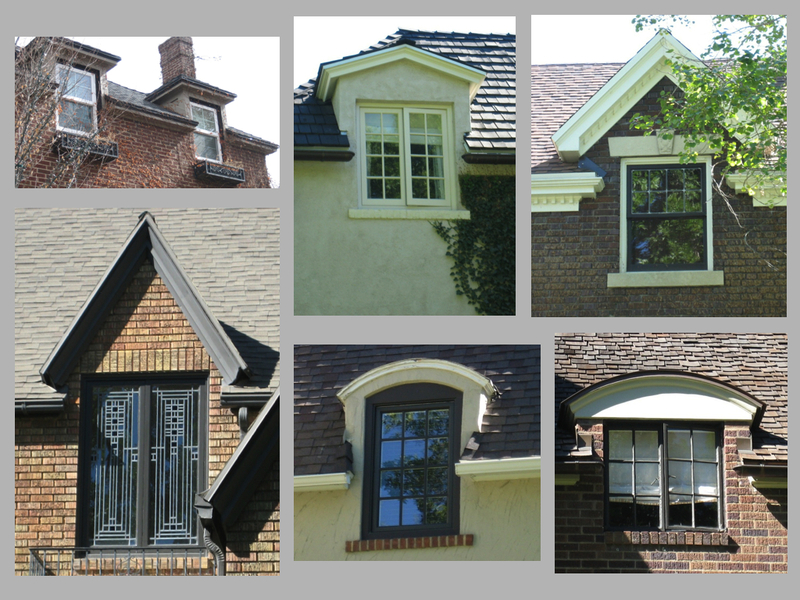 This Period Revival home on Harvard Ave was built in 1929 by the Doxey-Layton Company. Graham Doxey (of Doxey Real Estate) and Howard Layton (of Layton Construction) were Yalecrest residents that joined together to build and sell homes. William and Emily Naylor were the first owners and long time residents. The 1940 census has 6 adults living in the home: William E. and his wife Emily, their 3 adult children (Audrey, Evelyn and William J.) and Emily’s mom (Mary James). Mr. Naylor was his own boss working in the grocery store business. Mrs Naylor and her mother came from Ireland. Audrey had graduated from college and was working as a school teacher. Evelyn was employed as a stenographer. And William J. was in his 1st year of college and working as a grocery store clerk. Mr Naylor passed away in 1966 at the age of 84. For at least 20 years he owned and operated Dickinson’s Market (2nd S. near 7th East, now a parking lot). The family lived in the back of the store for a couple years. Mr Naylor was well-respected in the community. He served as president of the Salt Lake Retail Butcher’s and Grocer’s Association, was a captain in the Utah National Guard, served as board director in at least 3 organizations, worked in the government’s War Assets Administration, and later entered the real estate business. Emily James Naylor immigrated to the the U.S. when she was a teenager. She lived to be 95. The home stayed in the Naylor family for more than 55 years. Their eldest daughter Audrey (born in 1906) was still living here in the late 1980’s. 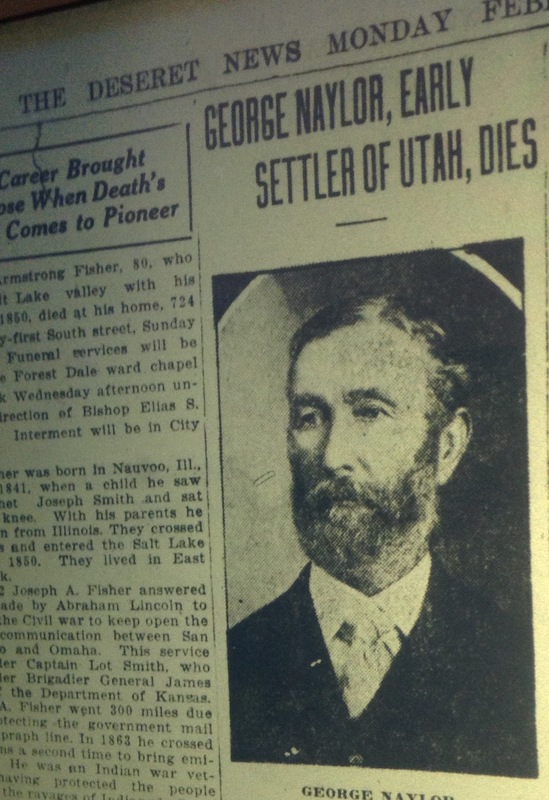 William E. Naylor was a direct descendent of the “Naylor Brothers.” The Naylor brothers consisted of Thomas (1826-1872), William (1835-1918) and George (1837-1922). The brothers were born in England where they joined the Church of Jesus Christ of Latter Day Saints. They came to Utah with the early Mormon settlers, most likely with the 1852 John S. Higbee Company. 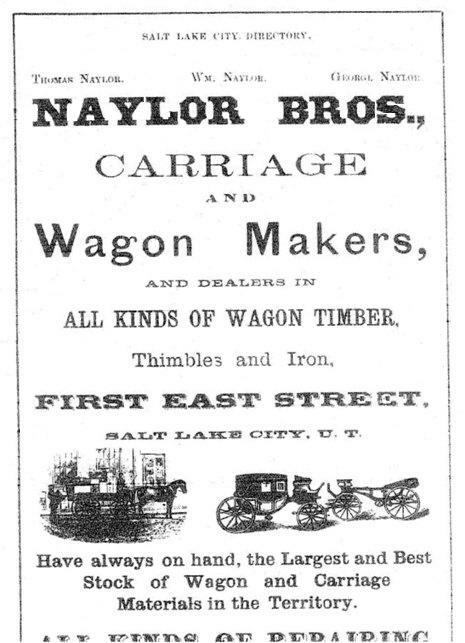 The Naylor Brothers manufactured some of the first wagons built in Utah. Together they were skilled blacksmiths, woodworkers and mechanics. William E. Naylor was one of the sons of George Naylor and his 2nd wife Fanny Wiscombe. As the popularity of wagons and carriages began to dwindle, George Naylor started selling Studebakers. At one time SLC boasted a Studebaker showroom in the Naylor Building (100 S. block of State Street).